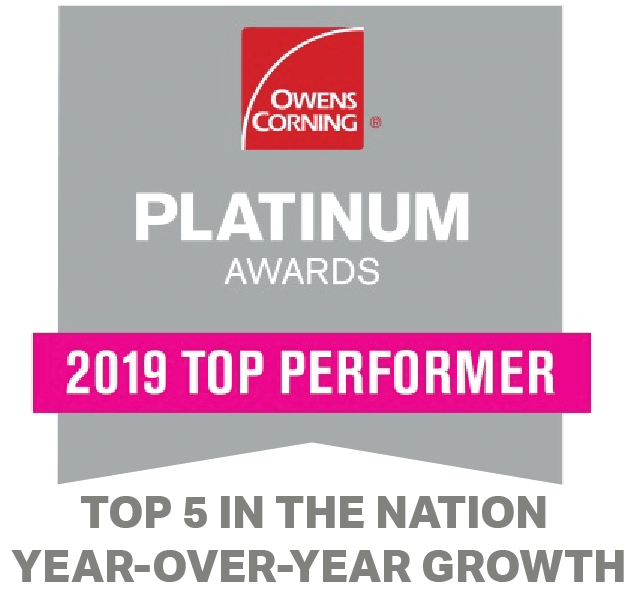 As an Owens Corning Roofing Platinum Preferred Contractor, ARAC Roof It Forward, was honored with the 2019 Platinum Preferred Contractor Award for our company’s industry-leading contributions to the roofing category. This industry recognition reflects our continued focus on bringing a results-oriented, customer-driven approach to running our business and delivering trustworthy, dependable work for the homeowners we serve. ARAC Roof It Forward was identified by Owens Corning, earning the Top Performer Award for Growth. The company recognizes the top five Owens Corning Roofing Platinum Preferred Contractors nationwide with this honor.